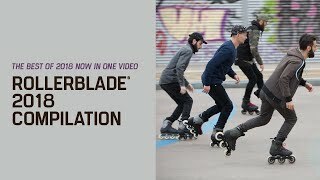 “In Motion” is a new series created by Rollerblade®. 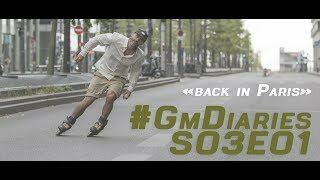 This episode, filmed by Mike Torres, captures the vibe of a day skating NYC with Rollerblade® team riders, Nicholas Swan and Sean Keane. With style for days and lines that flow effortlessly, Nicholas and Sean are two of the most creative skaters ever to roll. 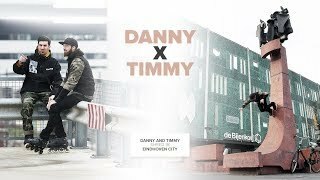 Follow the guys as they skate through Brooklyn, across the Williamsburg Bridge, through Manhattan, then skitch a ride to Pier 11 where they cruise on a ferry, and finally end the day on the Westside of the city. Anyone who has spent time in NYC has experienced the noise and hectic motion of the “City that Never Sleeps”. Videographer Mike Torres flipped the script on views and made In Motion: NYC an edit that highlights skating in it’s simplest form put to music that emphasizes a chill vibe. Mike brings the viewer into a skater’s world: an artistic lifestyle anyone can appreciate. Join them on this adventure, tuning out the world and capturing what it is to skate NYC.